Everybody has certain sights, sounds, and smells that they associate with particularly strong memories. The sight of a well-known landmark, the sound of street vendors advertising their wares, the aroma of favorite dish. But for some reason, my strongest impression of Southeast Asia (likely dating back to time spent in Taiwan as a child) is in the tiled sidewalks. I’m not sure why I have this mental connection. 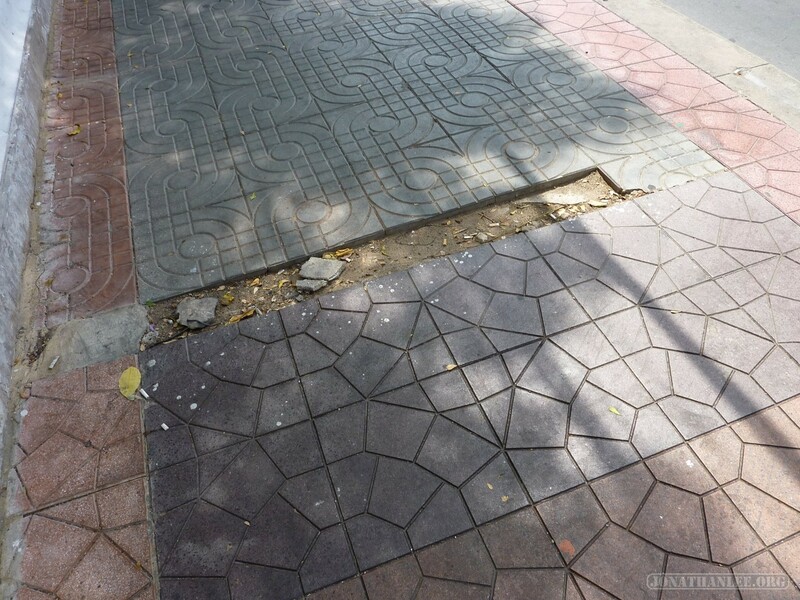 I’m not even sure if it’s actually accurate, or if there are places outside of Southeast Asia with the same sidewalk tiles. But somehow, when I see this type of tiled sidewalk, with rough concrete filling in occasional holes, I recognize the feel of Southeast Asia. Am I the only one with this feeling? Of course, the food in Thailand is pretty good too! 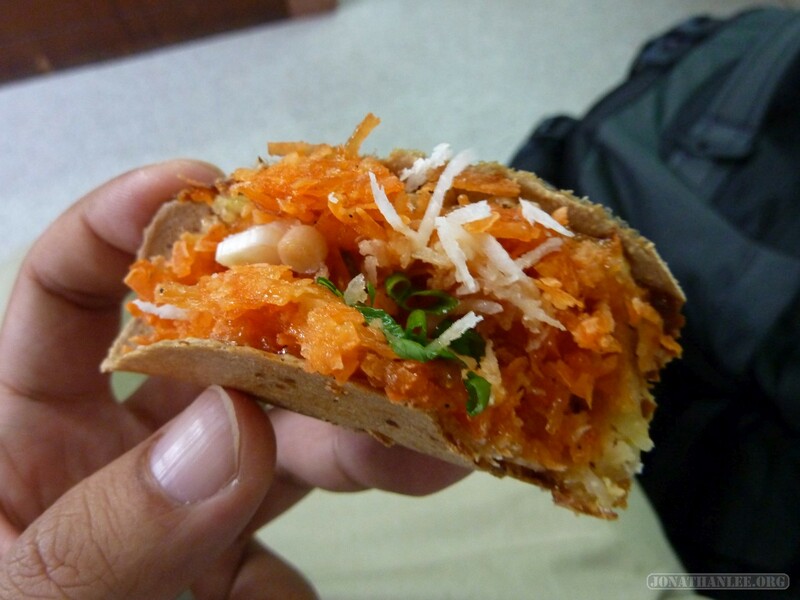 Who doesn’t love these crispy coconut snacks at 30 cents a pop?